hese past couple of years I have watched many fellow film bloggers participate in the Blind Spot Series, a web event promoted by The Matinee that encourages movie viewers to tackle some classics they’re still missing. With just a few (but hugely) legendary films left on my ancient List of Shame, I figured 2015 would be a good year to cross twelve classics off of it and get that much closer to the finish line. And what better way to do it than actually taking part in one of the most useful and clever events of the film blogosphere? The challenge spreads throughout the year, one movie per month, one post per movie. Each Blind Spot will be announced in the first week of each month, and reviewed in the last. To take part simply pick twelve classics you haven’t seen, link back to Ryan’s blog, and start watching! With the exception of La Haine, I’ve seen all of these films and love them all. You got yourself a damn good slate of films to watch. Hmm I do understand that, as I’ve been pretty bad at sticking to these things, too. But since one of my New Year’s resolutions is to stay on top of things, this seemed like the perfect challenge! I have only watched Oldboy and A Clockwork Orange so far, they’re great films. The others are on my watch-list the whole time, but haven’t had time to watch them. Great picks! I’m especially looking forward to Oldboy! Great list! I’ve seen most of these (only parts of several), and there are some real classics on there. 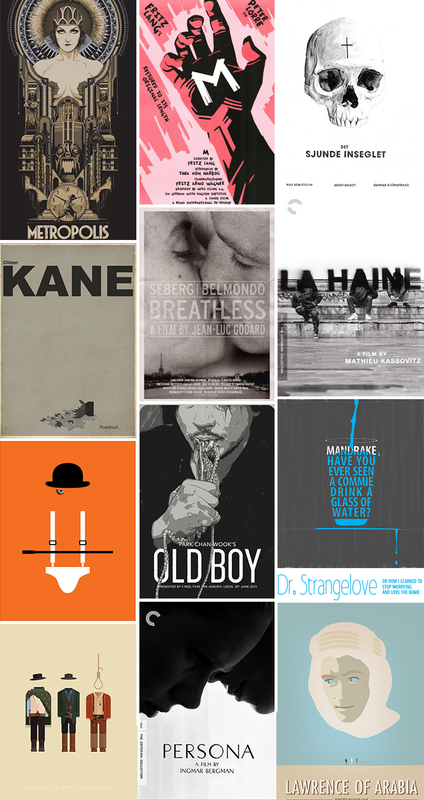 Kane, M, Persona, Dr. Strangelove, Metropolis, and more are all amazing. You’re in for a brilliant year of movie watching. Nice list! I love Old Boy and Persona (the latter was on my 2014 list) A Clockwork Orange is soooo disturbing. Old Boy will be my first blindspot, I’m excited. Yeah I get that feeling about A Clockwork Orange… I had the novel in my hands the other day at the bookstore, have you read it? I wonder if it’s worth it. thanks Katy, I hope so too! I will Vern, thank you! This is brilliant!! I did a world film challenge (watched as many films from different countries as I could in 3 months) but this is great! I’m totally going to do this, there are quite a few classics missing from my list I’m sorry to say. Btw, Metropolis is amazing, in sci-fi terms, it blows you away when you think about when it was made. A couple of years of ago I had nearly 100 absolute classics that I had never seen so, I get it, *really*. Let me know if you post your list, Katie! List all done, a little late into the new year but its done! What do you think? Late is pretty much a permanent state for me, it’s fine! I left a comment, but that’s a great list. I haven’t seen most of them either, but am especially interested in seeing Double Indemnity. Blogger comment system is letting me down, but I have read your comment 🙂 I’ve had Double Indemnity on my shelf for a few years but never got round to watching it, now, there’s no excuse. I found that most of the ‘classics’ I hadn’t seen where gangsters and westerns. Saying that, I love The Good, The Bad and The Ugly! Hi Sofia, LOVE the posters you featured here. Hey I have Breathless too on this year’s Blindspot. I also just saw Lawrence of Arabia recently and it definitely lived up to the hype. Thanks Ruth, there are so many beautiful alternative posters our there! Ohh, I hope we both enjoy Breathless. Thank you, Andina – I hope so, too! All of those sound great. In fact I’m fairly excited for all the movies in my list; it’s more than that “I’ll add this one because it’s a classic” feeling, you know?